The 2016 celebrity deaths were orchestrated by the Trump administration to distract liberals from the 2016 presidential elections and draw conservatives and moderates towards favoring Trump. Conservatives and Moderates: Administration could point towards the increase in liberal celebrity deaths to prove that the liberal America is going downhill/show that being a liberal is a flawed way of life. Could potential convince unsure (especially older) voters to vote for a conservative candidate like Trump, who claims he can bring back the "old America". Many of these celebrities were fairly young to have passed away and many died very unexpectedly or of unnatural causes. This could perhaps be used to make the case that it was the liberal lifestyle that inevitably killed them? David Bowie supposedly died of liver cancer at age 69, however no one aside from his closest friends and his director knew of his cancer until he had died, which makes it seem suspicious. If he had been killed by the administration, it would've only taken paying off a few people to say that they'd known about his secret illness to cover their tracks. 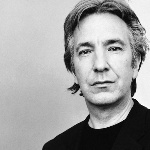 Allan Rickman also died of cancer rather unexpectedly, and also at age 69. Similar to Bowie, Rickman supposedly "didn't know" the severity of his cancer until only a few weeks before his death. Friends and co-stars reported having seen him at functions and events as soon as just a month before his death, at which he seemed perfectly fine. Both Carrie Fisher and George Michael died unexpectedly of a supposed heart failure, Fisher at age 60 and Michael at age 53. Many of the celebrities who died (or were killed?) in 2016 were celebrities that stood for policies, ways of life, or systems of belief that were in direct conflict with what conservatives call "Trump's America". Liberals: By distracting liberal news and media attention, celebrity deaths could take the liberal focus away form the 2016 presidential election, making it easier for a heavily conservative candidate like Trump to succeed. One source tries to justify the seeming increase in celebrity deaths through addressing the increase in news coverage of those celebrity deaths. Like Prince, Bowie was also a queer/androgyny and fashion icon for much of his career as a musician. Donald Thorin (died February 9, 2016): Did the cinematography for Purple Rain, an American rock musical drama film starring Prince in his acting debut. Vanity aka Denise Katrina Matthews (died February 15, 2016): singer, songwriter, dancer, actress and model. Met Prince at the 1980 American Music Awards. He renamed her Vanity, believed her to be the female form of himself, and asked her to become the lead singer of the girl group Vanity 6. In 2015, Prince wrote a song called Baltimore, protesting police violence, honoring the lives of Michael Brown and Freddie Gray, and actively rejected violence in favor of racial equality. Actor, screenwriter, director, producer, singer-songwriter and author. First major role was as Leopold Bloom in the 1968 film The Producers and later played Willy Wonka in Willy Wonka & the Chocolate Factory and also stared in the 1974 Young Frankenstein. Gene Wilder has connections to queer culture. Willy Wonka & the Chocolate Factory was later remade into the 2005 movie adaptation Charlie and the Chocolate Factory in which Wonka is played by Johnny Depp, who has been quoted as saying ‘Didn’t you know all my characters are gay?’. 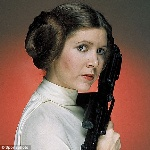 Actress, writer and humorist, first known for playing Princess Leia in the original Star Wars film series. Fisher was known for being a strong feminist and an advocate for mental health, very much considered an icon within liberal communities.. These go up in direct conflict with views expressed publicly by Trump and his administration, such as Trumps rampant sexism and the Trump Administration cuts on healthcare that would affect people struggling with mental illnesses and/or addiction (both of which are things that Carrie Fisher spoke out about). 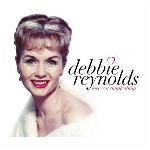 Debbie Reynolds, Carrie Fisher's mother, died on December 28, 2016, only one day after the death of her daughter. Singer, songwriter, record producer, and philanthropist who rose to fame as a member of the music duo Wham! Actor and director known for playing a variety of roles on stage and on screen, famously playing Severus Snape in the Harry Potter movie series. Rickman was quoted saying that “actors are agents of change, a film, a piece of theater, a piece of music, or a book can make a difference. It can change the world.” This was something he lived by, using his fame and the money he made towards charitable foundations. He also wrote a controversial political play about the Israel/Palestine conflict. Also are a series of existing conspiracy theories around celebrities who have reportedly died (or assassinated?) and then replaced with body doubles. Paul's replacement is supposedly Billy Shepherd ex leader of the "Pepperpots" ("Billy Pepper and the Pepperpots" Band). This replacement would have went directly onto making the band's 1967 album "Sgt. Pepper". For that album, the Beatles had formed a "new" band featuring a fictional member named Billy Shears, very similar to the name of Paul's supposed replacement. Princess Diana (died 31 August 1997), killed in a car crash rumored to be by the hands of the Royal Family MI6 due to various controversies she brought to the Royal Family. Her affair with James Hewitt brought attention and controversy to Royal Family and its image. It was suggested that an agent of MI6, the British intelligence service, was present at the scene, posing as a member of the press and that a mysterious vehicle, a white Fiat Uno, was used by the conspirators to block the limousine's path, forcing it to collide with the pillar. Prior to her affair with Hewitt, she allegedly also hooked up with bodyguard Barry Mannakee. Prince Charles had him removed from royal duties in 1986 and he died in a motorcycle accident in 1987. Not dissimilar to the circumstances behind Diana's own death, both of which could've been the British Royal Family covering for their embarrassment. Turbulent relationship between Princess Diana and The Queen, due to her spontaneity, her casual attitude, and her immense popularity with the public. Monroe and John F. Kennedy were rumored to have slept together at least once, on March 24, 1962, while at Bing Crosby's house in Palm Springs. Other sources claim that their affair was an ongoing one. Monroe and Bobby Kennedy were also rumored to have had a romantic affair, which has been confirmed in a letter to Marilyn from Bobby's sister Jean Kennedy, in which she refers to the two of them as "the new item". Frank A. Capell, an anti-communist activist, wrote a self-published pamphlet in 1964 called The Strange Death of Marilyn Monroe, in which he claimed that her death was part of a communist conspiracy. He claims she took her affair with Robert F. Kennedy too seriously and was threatening to cause a scandal; Kennedy therefore ordered her to be assassinated to protect his career. He says that Kennedy, Monroe's doctors, and her ex-husband were all communists/communist sympathizers. In Norman Mailer's 1973 book Marilyn: A Biography, he repeated the claim that Monroe and Robert F. Kennedy had an affair, and speculated that she was killed by either the FBI or CIA, to put pressure on the Kennedy family. Robert F. Slatzer published The Life and Curious Death of Marilyn Monroe in 1975, based on Capell's pamphlet. He also says that Monroe was killed by Robert F. Kennedy, claiming that the two were married in Mexico for three days in October 1952. Bobby Kennedy was assassinated on June 5, 1968. John Kennedy was assassinated on November 22, 1963. Both have numerous theories surrounding their deaths, many of which involve members of the CIA or other intelligence agencies that went after the Kennedys because of their various possible political choices.